The Blossom and Basket Boutique is a full service florist and gift basket company owned by Ellie Bonde and Rene Bonde Shiffler, a mother and daughter team. 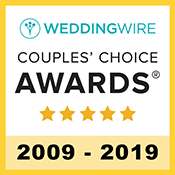 We specialize in floral arrangements and gift baskets for any occasion, and have received numerous awards – including “The Knot Best of Weddings Pick” and “Wedding Wire Couple’s Choice″ – for our wedding bouquets, arrangements and centerpieces. We also create gift baskets for all occasions, including birthday, anniversary, wedding, thank-you, new home, all chocolate, all tea, breakfast, fishing or hunting, motorcycles, pamper your pet, bereavement, or any reason you wish. Our lavishly designed gifts are customized at your request, exquisitely wrapped, and include a beautiful hand-tied bow. We deliver locally and ship worldwide. We can create one or one hundred gift baskets, at your request. We are also a full service florist, and we love combining flowers with a gift basket, as seen in our Best of Both Worlds basket.